1st March: a day of great excitement for the world of Telemarking; it is World Telemark Day. 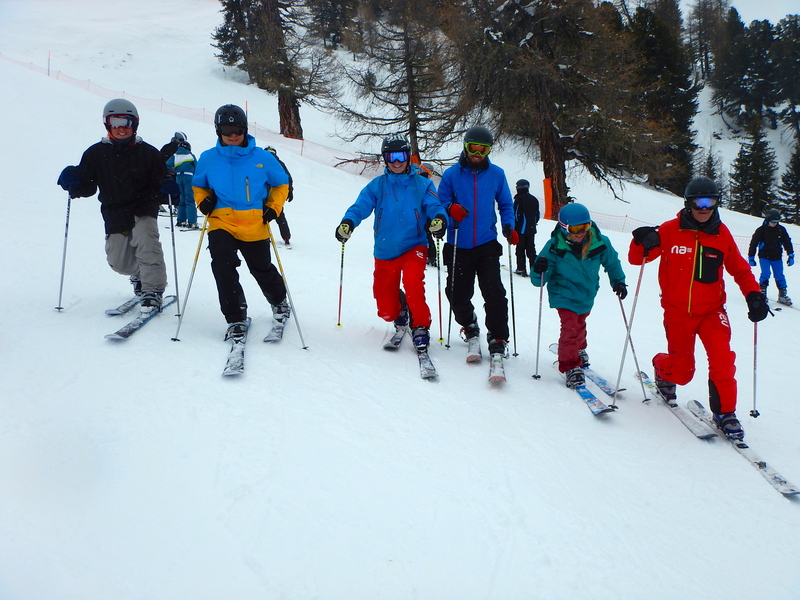 To celebrate today, Nendaz’s Telemark instructors were providing free tuition, rental shops were providing discounted rates on kit, and Les Cleves was providing a reduced price on their menu of the day. Free your heel, free your mind – Nendaz was doing it’s best to encourage people to have a go at a very cool and alternative way of sliding down a mountain. 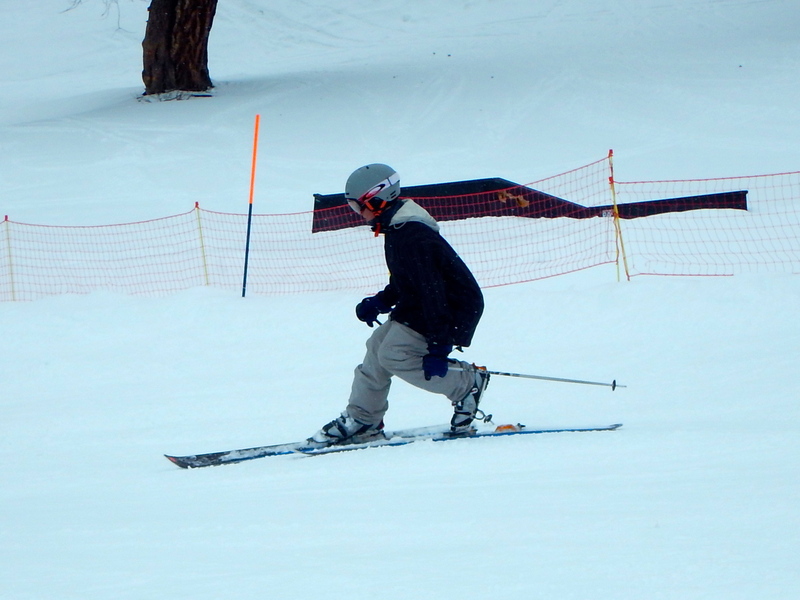 Telemarking is the original and oldest way of skiing. 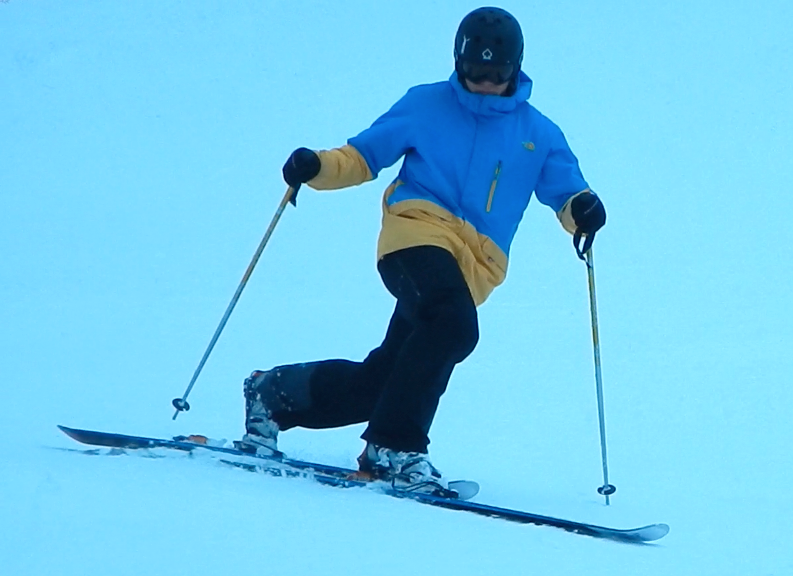 The idea is to ‘lunge’ into the turn, thus freeing your heel of the foot of your inside ski. 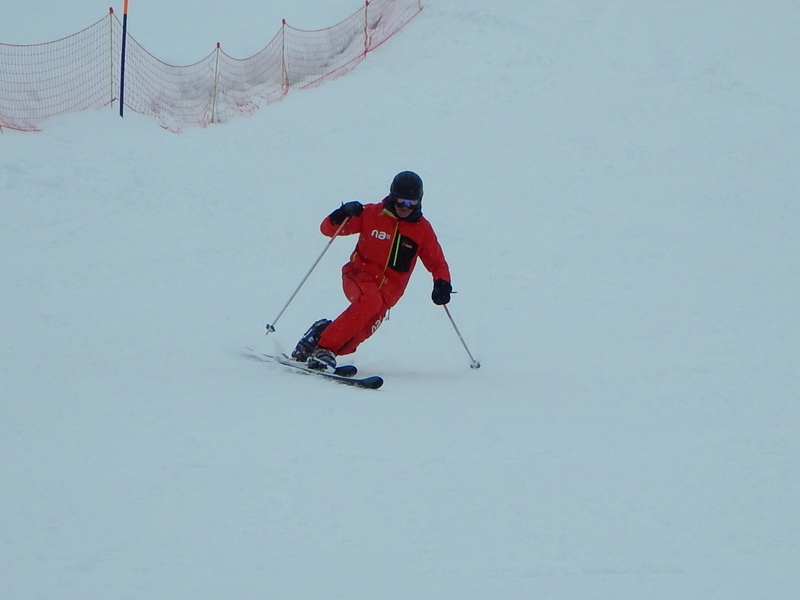 It is a very graceful, skilful yet powerful way of descending the mountain. On the Mountain rented us kit and Christopher Vaughan, a passionate Telemarker proceeded to introduce the level 2’s and other instructors to the technique of Telemarking. 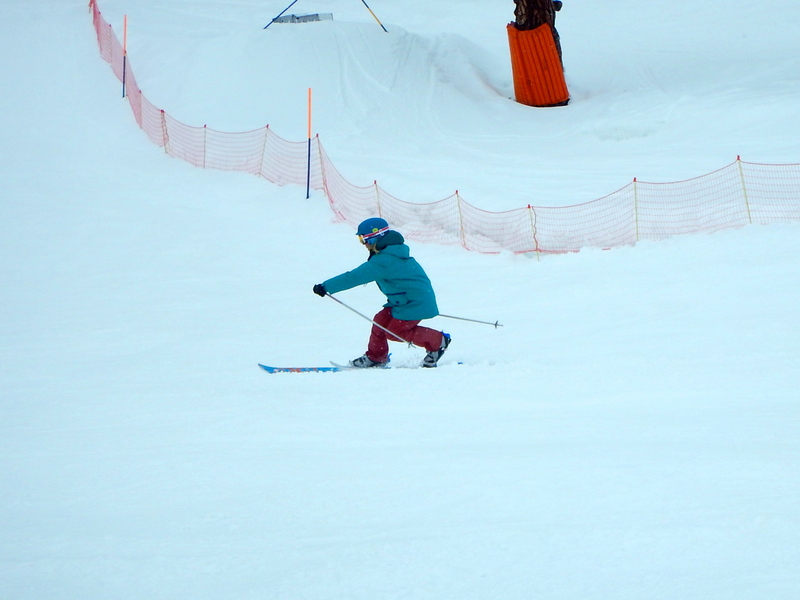 Today was my 4th afternoon on Telemark skis and after a wobbly start, much to the amusement of my trainees, I soon remembered what I was doing. The conditions were a little challenging with slightly wet, bumpy and sticky snow and I was yet again grateful for consistently working on having a strong core. Thigh burn set in on the long descent back into town, but cruising around Petit Jean-Pierre (a nice blue run) was perfect to get going. 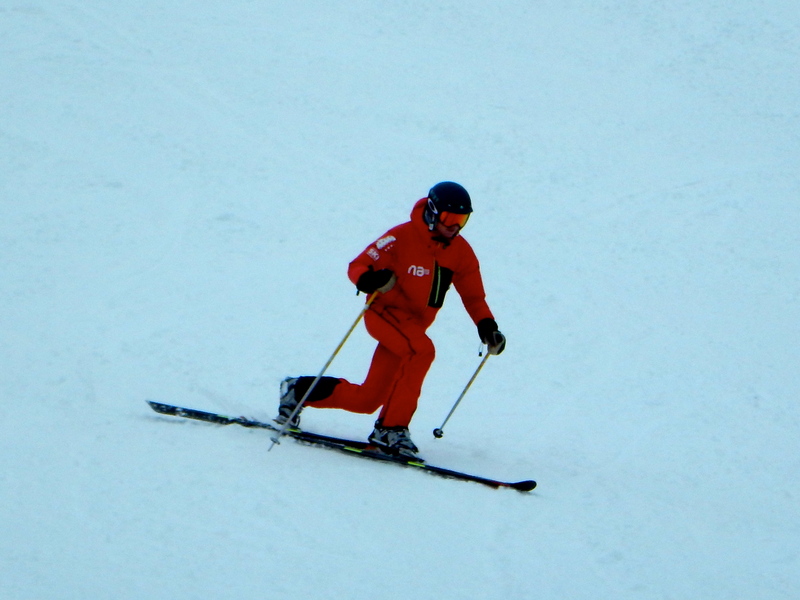 Improvements were made and errors in one’s Alpine skiing were highlighted on the Telemarks. 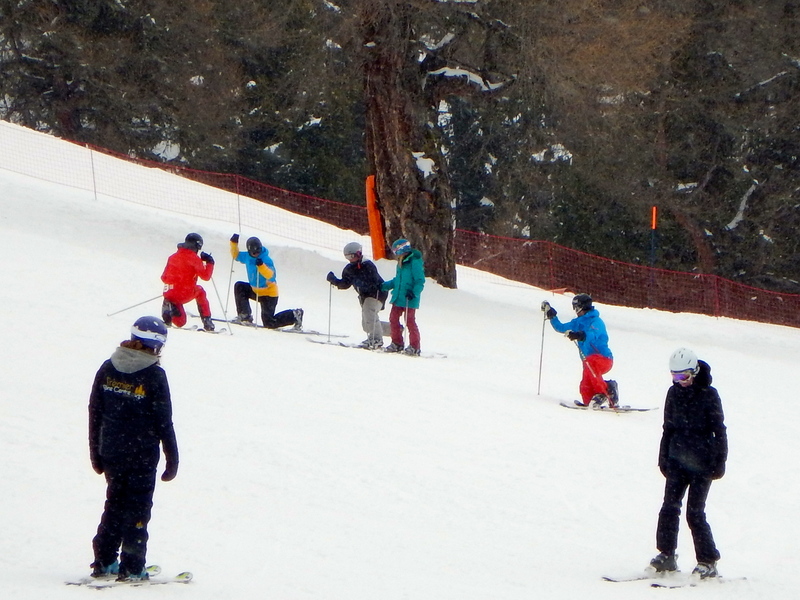 We’ll find out tomorrow if it has made any difference to their Alpine skiing. 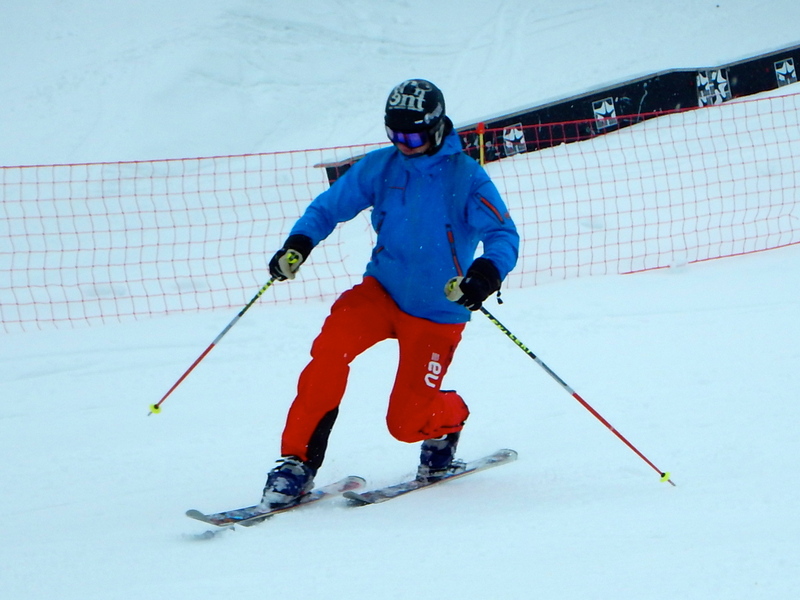 I can’t blog about telemarking without referring to Sandro, my self-taught fanatical Telemarker boyfriend, who is becoming renowned for doing lots of very silly things on Telemark skis. I have shared his video once before, but as a proud girlfriend, I will share the link with you again. Telemarking is a lot of fun, pretty tiring, but very cool. Definitely worth having a go at if you ever get the chance. A fun day – thank you, Chris, for your tuition!